A few days ago we were talking about the upcoming new season of American Horror story called Freak Show. It will be about human anomalies like circus freaks, bearded women, three-breasted gals, Siamese twins and super creepy clowns. But sometimes reality is more disturbing than fiction and nature has its share of freaks. Animals that look like they’ve come from another planet or from the set of a horror movie. We would like to share with you some of the freakiest looking animals on earth. 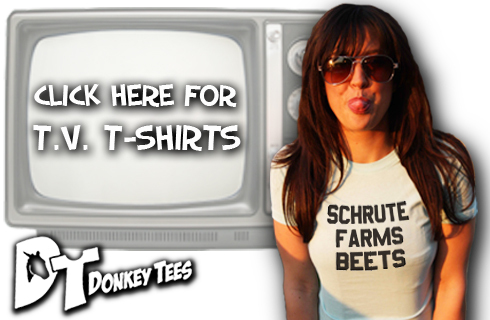 We assure you the photographs are 100% real. Is it a rock? Is it an alien? No, this is actually an animal that lives on our planet. They are related to vertebrates and their official name is Pyura chilensis. It’s the creepiest species of tunichates. At first you might mistake it for an ancient rock. 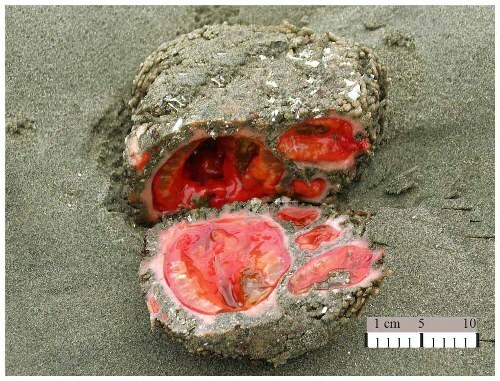 Inside it’s blood red and they are called “sea tomatoes” by the people in South America, who consider them to be a delicacy. People in Chile love to eat these freaky looking animals. Would you try one? Continuing our list of the freakiest looking animals on earth, we have this “special” orb weaver. They look like a strange combination between a spider and a cow’s head. 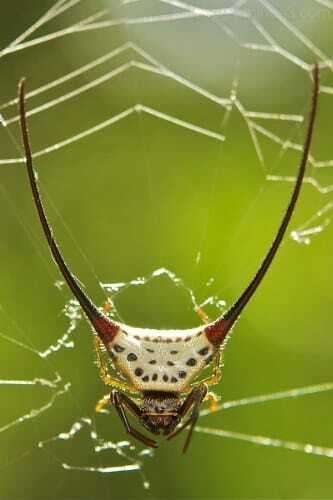 This horned little spider belongs to the genus Macracantha and is a close relative to the ordinary garden spider. Scientists haven’t discovered the real purpose of the horns but some believe they are either ornaments used to attract sexual partners or some kind of weapons used to show dominance when they have to fight other spiders. We think this little horned spider looks super cool and we’re proud to have it on our list of the freakiest looking animals on earth. This weird looking bird reminded us of that creepy character from the Pirates of the Caribbean. 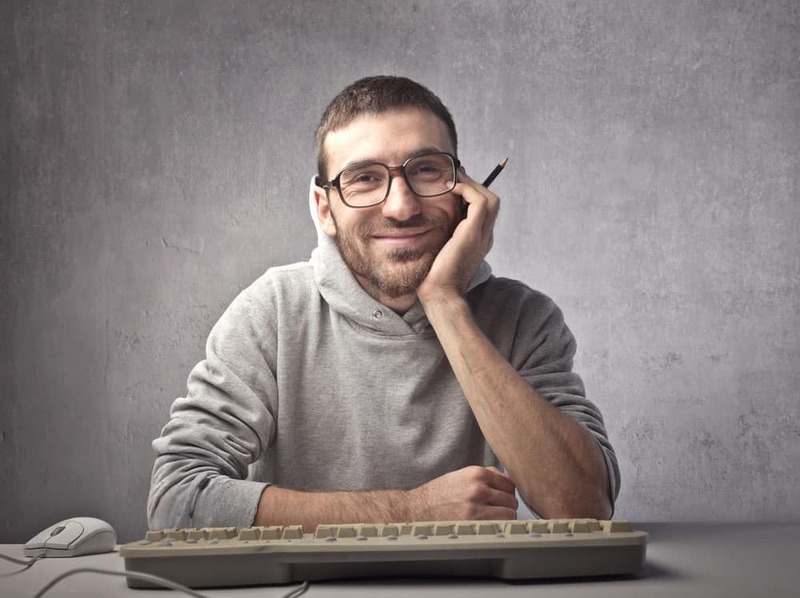 Remember him? The one with things hanging from his chin. We wonder if this bird was the inspiration behind that character. Anyway, this bird has three dangling fleshy wattles growing from its beak, that are soft to the touch. Scientists say that these wattles attract female birds. 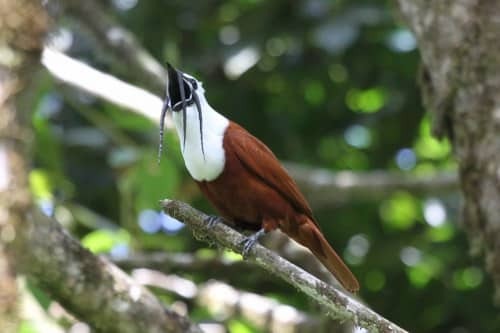 Unfortunately, this freaky looking bird is an endangered species and lives in Central America. This creepy looking bird looks like a creature from The Flinstones. A cross between a dinosaur and a huge bird. 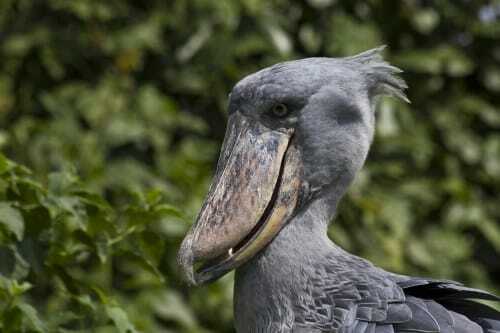 The African shoebill is probably the weirdest looking bird on the African continent. It’s 1.5 meters high and weighs more than 5 kg. The African shoebill is a pretty dangerous bird and it feeds on lizards, young crocodiles and even baby antelope. It has a huge bill (24 cm) with a hook at its end. We wouldn’t want this freaky looking bird to get mad at us, that’s for sure. 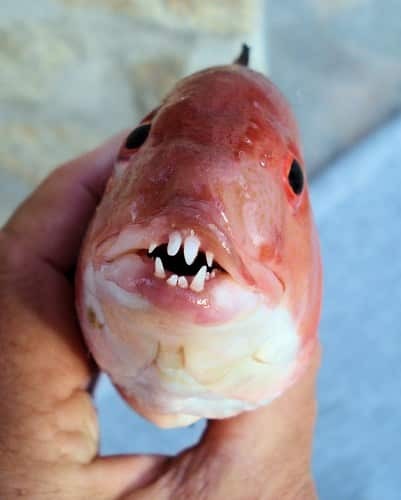 This is one truly creepy fish. It lives in the waters of California and looks like something out of an alien movie. It has huge sharp teeth and it’s known to bite humans, delivering some serious pain and injuries. Another interesting fact about this fish is that they are all born female. Whether or not some of them will grow up to be males depends on social and environmental factors. Our list of the freakiest looking animals on earth concludes with the standard-winged nightjar. This peculiar looking bird has a giant pair of feather which can grow up to 35 centimeters, much longer than their body. This weird pair of feathers is used for mating purposes, attracting the partner. 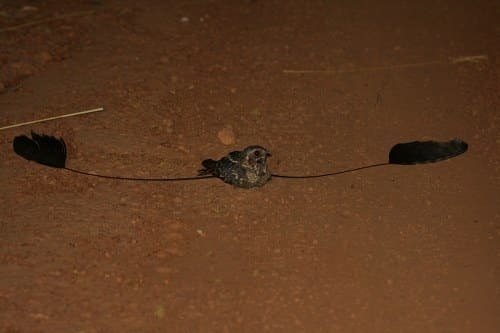 When you first see the standard-winged nightjar you’re under the impression you’re looking at three separate birds. They’re not three.